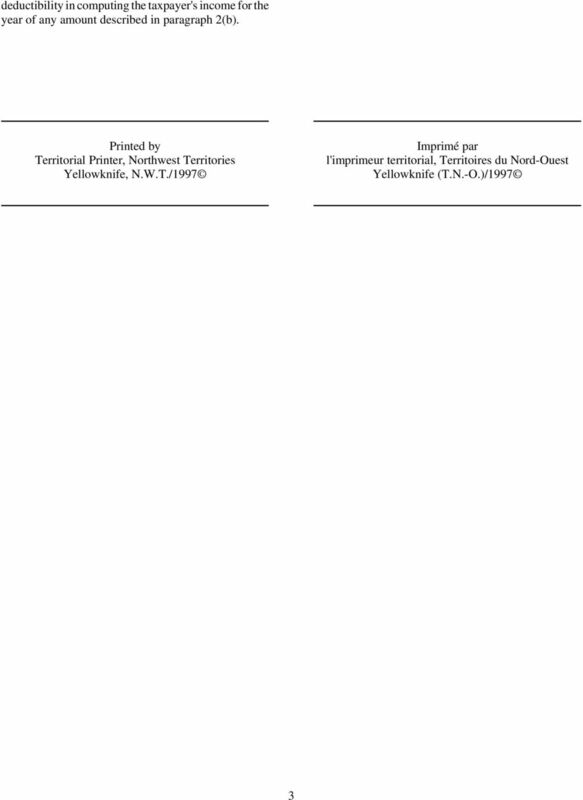 Download "MAINTENANCE PAYMENTS REMISSION ORDER R.R.N.W.T. 1990,c.F-8"
RÈGLEMENT RELATIF AU CERTIFICAT D'ARRIÉRÉS D'IMPÔTS R.R.T.N.-O. 1990, ch. P-4. CERTIFICATE OF TAX ARREARS REGULATIONS R.R.N.W.T. 1990,c. 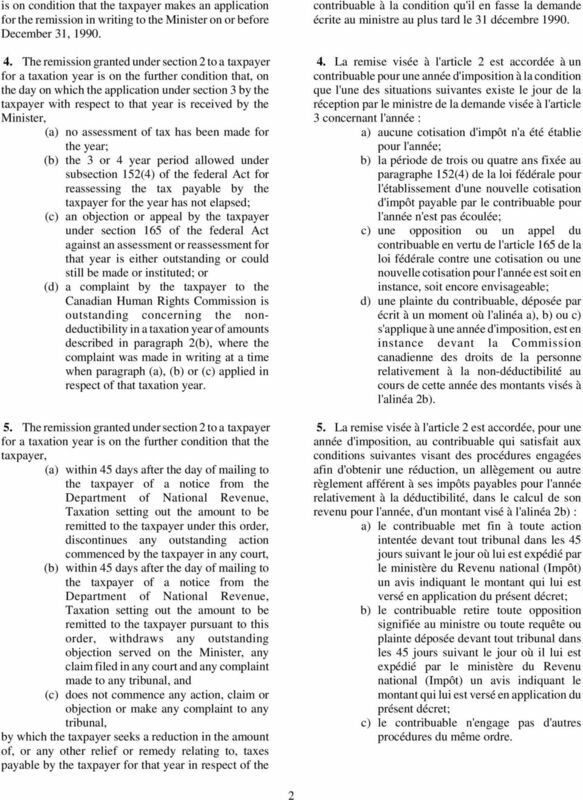 PROPERTY ASSESSMENT AND TAXATION ACT CERTIFICATE OF TAX ARREARS REGULATIONS R.R.N.W.T. 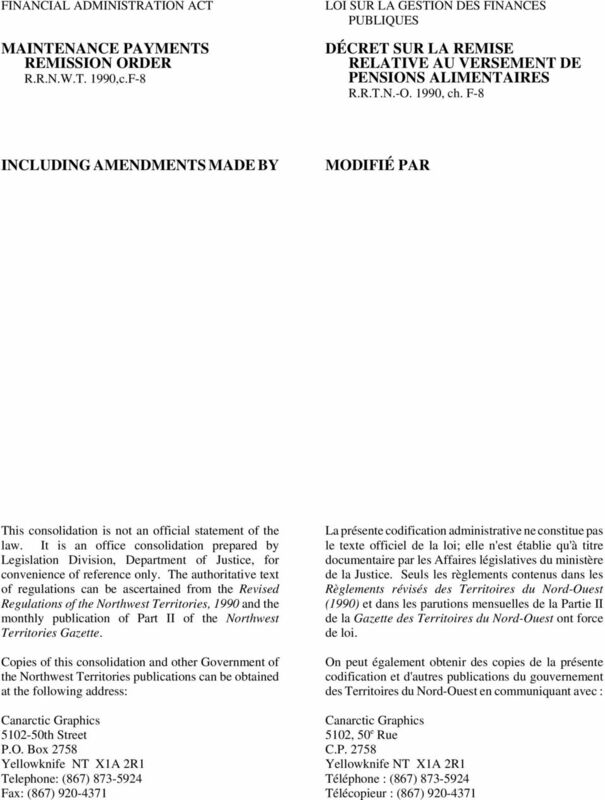 1990,c.P-4 LOI SUR L'ÉVALUATION ET L'IMPÔT FONCIERS RÈGLEMENT RELATIF AU CERTIFICAT D'ARRIÉRÉS D'IMPÔTS R.R.T.N.-O. 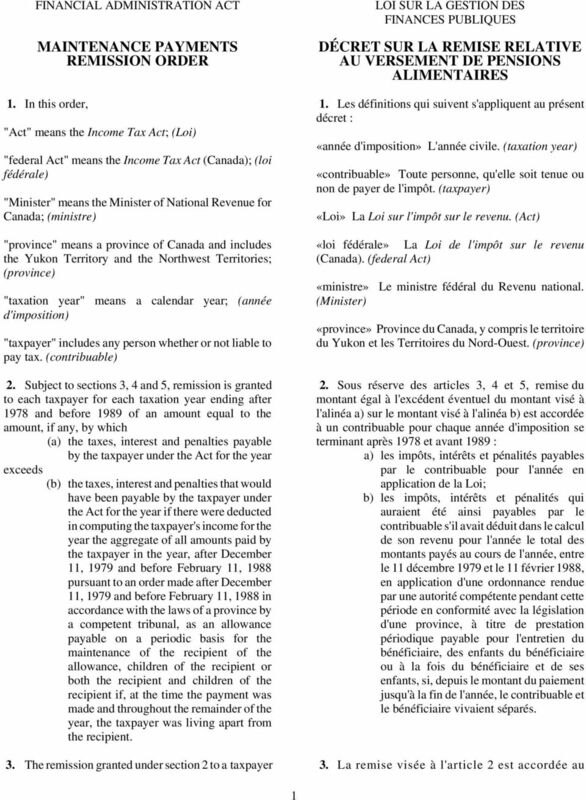 CODIFICATION ADMINISTRATIVE DU RÈGLEMENT SUR LES FORMULES DES CAISSES DE CRÉDIT R-041-91 En vigueur le 15 juillet 1991. VILLAGE OF NORMAN WELLS CONTINUATION ORDER R.R.N.W.T. 1990,c.C-11. ARRÊTÉ PORTANT PROROGATION DU VILLAGE DE NORMAN WELLS R.R.T.N.-O. 1990, ch. CITIES, TOWNS AND VILLAGES ACT VILLAGE OF NORMAN WELLS CONTINUATION ORDER R.R.N.W.T. 1990,c.C-11 LOI SUR LES CITÉS, VILLES ET VILLAGES ARRÊTÉ PORTANT PROROGATION DU VILLAGE DE NORMAN WELLS R.R.T.N.-O.